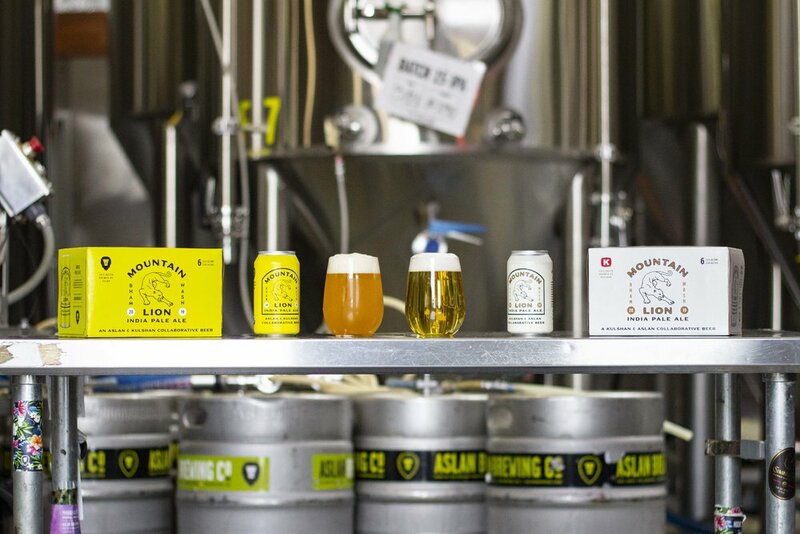 NOW AVAILABLE: Mountain Lion — Aslan Brewing Co. This collaborative IPA was brewed with our friends across town at Kulshan Brewing Company. Together we created one recipe, centered around a West Coast style IPA, then brewed that recipe at each of our locations to see how the differences in our operations would impact the final product. Hopped with Centennial, Chinook and Mosaic, this beer has a firm, classic bitterness with a slightly dank blueberry note on the nose and finish. âš ï¸�Join us tonight at the Alan Depot as we celebrate the collab with our buds at Kulshan. Weâ€™ll be pouring both Mountain Lions on tap as well as a selection of Kulshan beers.